“Once upon a time there was and there wasn’t a woman who went to the woods.” In this horror story set in colonial New England, a law-abiding Puritan woman goes missing. Or perhaps she has fled or abandoned her family. Or perhaps she’s been kidnapped, and set loose to wander in the dense woods of the north. Alone and possibly lost, she meets another woman in the forest. Then everything changes. On a journey that will take her through dark woods full of almost-human wolves, through a deep well wet with the screams of men, and on a living ship made of human bones, our heroine may find that the evil she flees has been inside her all along. 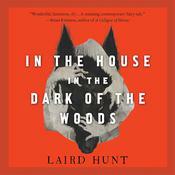 The eerie, disturbing story of one of our perennial fascinations—witchcraft in colonial America—In the House in the Dark of the Woods is a novel of psychological horror and suspense told in Laird Hunt’s characteristically lyrical prose style. It is the story of a bewitching, a betrayal, a master huntress and her quarry. It is a story of anger, of evil, of hatred and of redemption. It is the story of a haunting, a story that makes up the bedrock of American mythology, but told in a vivid way you will never forget. The eerie, disturbing story of one of our perennial fascinations—witchcraft in colonial America—In the House in the Dark of the Woods is a novel of psychological horror and suspense told in Laird Hunt’s characteristically lyrical prose style. It is the story of a bewitching, a betrayal, a master huntress and her quarry. It is a story of anger, of evil, of hatred and of redemption. It is the story of a haunting, a story that makes up the bedrock of American mythology, but told in a vivid way you will never forget. 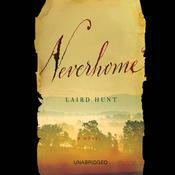 Laird Hunt is the author of several novels. 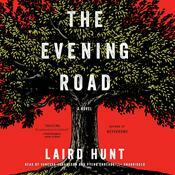 His novel Neverhome was a New York Times Book Review Editor’s Choice selection, an IndieNext selection, winner of the Grand Prix de Litterature Americaine and The Bridge prize, and a finalist for the Prix Femina Etranger. He is on the faculty in the creative writing PhD program at the University of Denver.